The competition was introduced in 2014 to recognize efforts of the industry in paper and film release liner recycling. 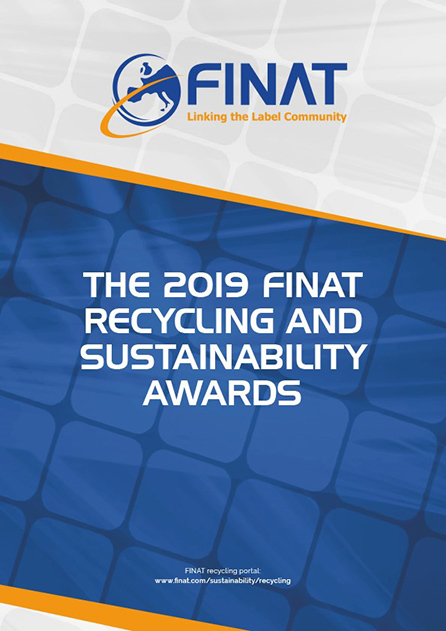 In 2018 the competition was renamed into FINAT Recycling & Sustainability Awards. All entries are judged by an independent panel consisting of representatives from INGEDE (the International Association of the Deinking Industry) and EPRO (the European Association of Plastics Recycling and Recovery Organisations). Entry is free of charge and open to all label converters and labelstock suppliers. All entries are judged by an independent panel consisting of representatives from FINAT, TLMI, INGEDE (the International Association of the Deinking Industry) and EPRO (the European Association of Plastics Recycling and Recovery Organisations). Click here to access the online registration form. Deadline to enter the competition: 12 May, 17.00 CET. For more information please contact the FINAT Recycling Manager, Mark Macaré, +31-70-3123910, mmacare@lejeune.nl.